Earlier this month, Nike launched a new hybrid in the Air VaporMax 95. Following a reimagined OG “Neon” iteration, a “Hot Red” colorway is next in line to hit retail shelves. Inverting the classic “Solar Red” color scheme, black transitions down to white, while hits of “Hot Red” are added to branding on the heel, side and tongue. 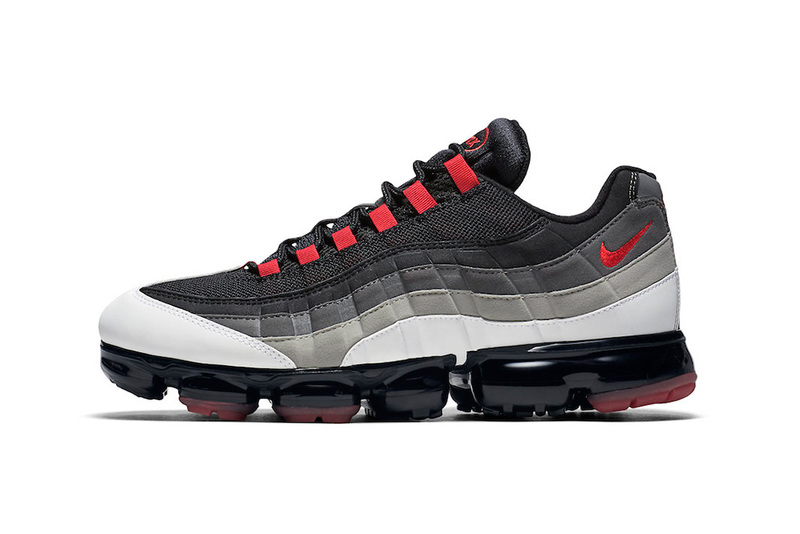 The Nike Air VaporMax 95 “Hot Red” is expected to retail for $190 USD, however a confirmed launch date has yet to be announced. Nike enthusiasts can also take a look at the next potential GYAKUSOU x Nike ZOOM Fly SP colorway. The Vallejo star definitely had fun filming this one.